Read/Look at other peoples work. Everyone does this. There are so many topics etc out there that you can put your own thoughts in (meaning you don't copy anyones work). If it's something DIY like, for example scrapbooking, you can find a color scheme etc that inspires you for a layout. You can lack of inspiration for many different reasons. And I find a longer walk, mostly with music, helps me. My mind gets clear and also I'm a huge nature lover so a walk in the forest is amazing. If you run a blog it's okay to ask your readers! Ask them what they enjoy most, what they want to see more of or maybe what they feel is missing. Read something/Watch a movie etc. Depending on what you enjoy most do it! I myself don't read much but I am a huge movie freak. Sometimes I watch a unseen movie but usually go for one of my favorites that I know inspire me. You also get a break from everything which is super helpful too. 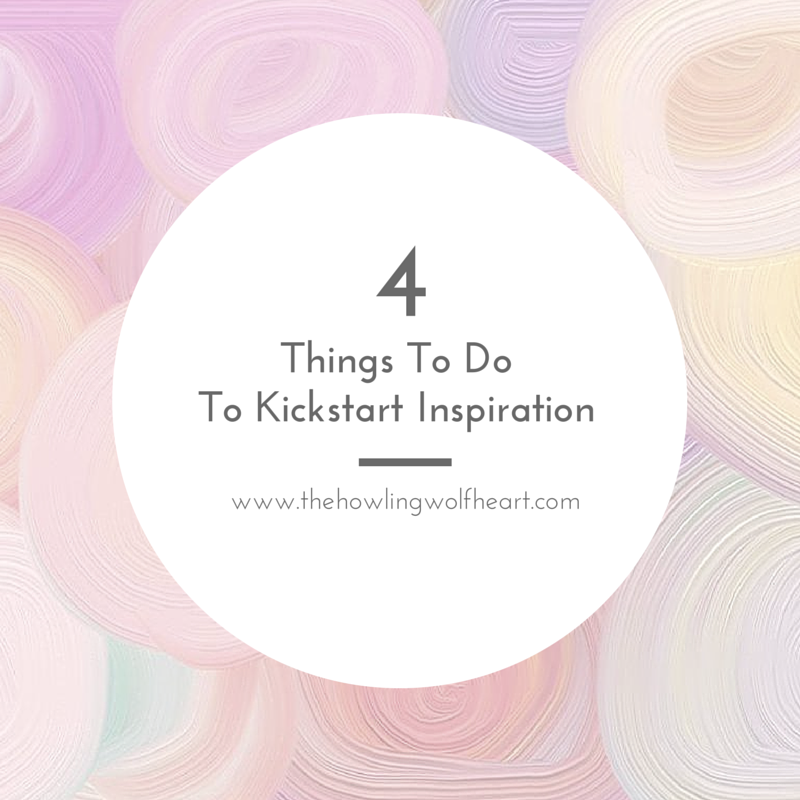 What do you do to kickstart your inspiration? Taking a walk ALWAYS works for me. Especially since I live close to nature. As someone who has recently run into a blogging rut, I highly appreciate the tips! Awesome ideas to help! Happy you find it helpful! Blogging ruts are a nightmare!